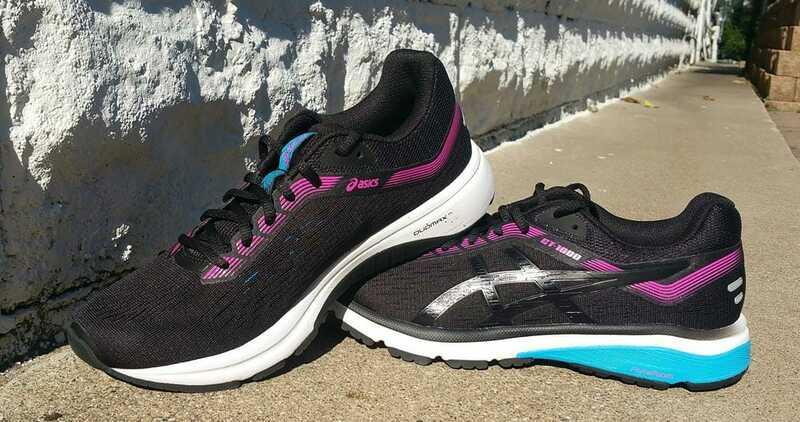 The ASICS GT-1000 7 combines a supportive upper with a stable base to deliver a comfortable ride that feels fast. The slimmed-up feel and lower drop will better appeal to neutral runners, yet the structure of the shoe offers the stability users have come to expect. 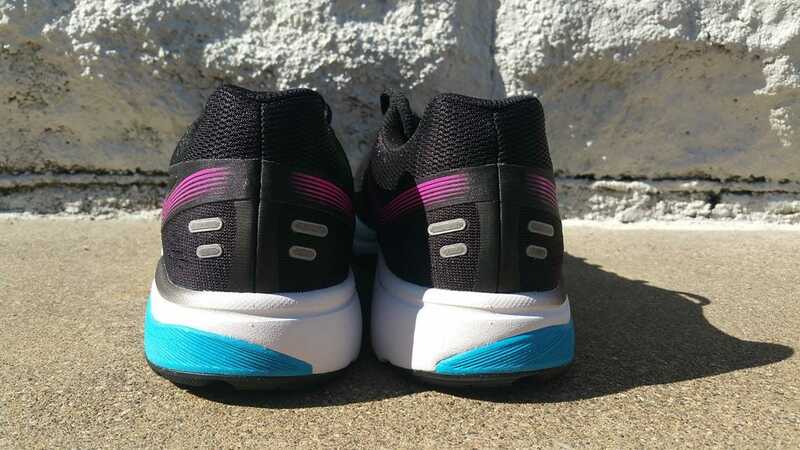 The new design has a low arch and will appeal to neutral runners to mild overpronators looking for a quality everyday trainer at a low price. Right out of the box, the sleek new look of GT-1000 7 caught my eye. Breathability of the upper remains the same as that of GT-1000 6, but it is slimmed down and lacks the (mid-grade) padded comfort of its predecessor, offering slightly more upward room in the forefoot. It’s not as cushioned of a feel, to me an acceptable change if it comes with a decrease in weight. But the 7 is the same weight as the 6. There is also a markedly lower arch in the shoe, and the offset has decreased from 10 to 8mm. 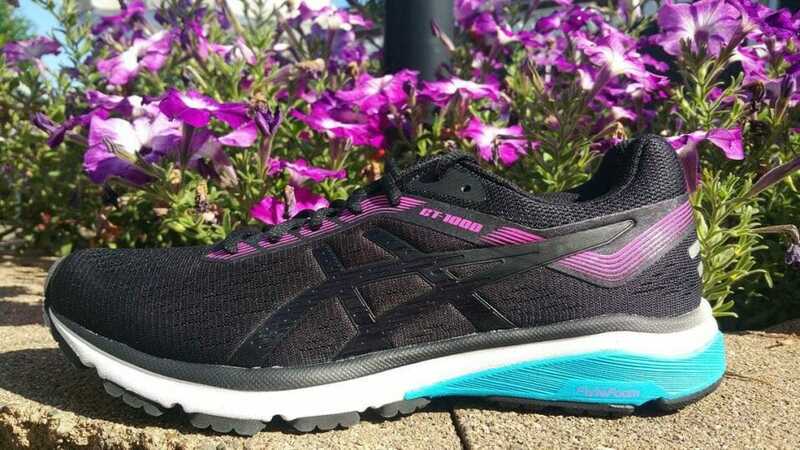 The GT-1000 model is ASICS’ cheaper version in their stability lineup, with Kayano at the top end in materials, cushion, and innovation, and GT-2000, GT-3000, and Gel-Fortitude designed to meet different runner needs. 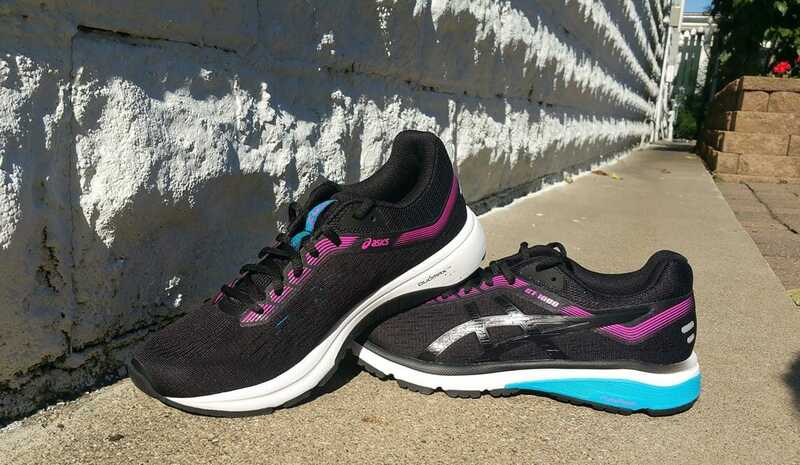 Immediately noticeable to those familiar with ASICS stability technology is the different look of this shoe’s midfoot structure and a change in heel materials. 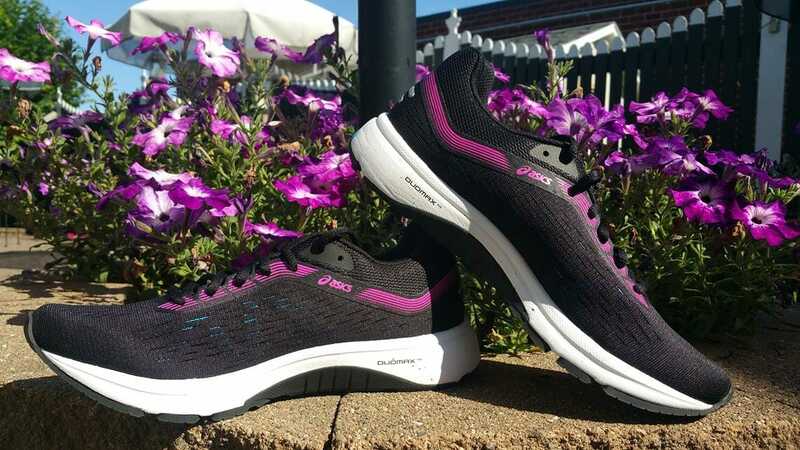 The take-away is that the stability function is (surprisingly) unchanged midfoot, with a more firm landing pad in the heel; see the Sole section for details. The drop from heel to toe changed from 10mm to 8mm, giving it a more neutral feel, and the width of the shoe’s base remains the same as the GT-1000 6, which was reduced from the 5. The 1000’s forefoot is a few millimeters wider than that of GT-2000’s resigned shoe in its sixth edition. The 1000 fits a slightly wider foot than the 2000 or 3000, with stability coming in the form of a wider base, especially in the toe-off region. GT-2000 offers support by way of a medium-high arch and a similarly stiff midfoot. GT-3000 boasts the same, with a design suited for narrow feet with bunions. Ravenna 9 is a competitor that brings a similar low arch, with a more narrow fit and 2mm higher drop. Ravenna has an overall snappier feel, but GT-1000 7 fits a medium-width foot more comfortably. Those who don’t want to increase length just for the accompanied greater width in a shoe will prefer this ASICS model. Gone are the plastic bars and shank under the arch; in their place is a thermal plastic midfoot unit with a FLYTEFOAM® heel wedge extending into the lateral midfoot and ASICS High Abrasion Rubber (AHAR®) extending up under the arch to fill in the void for torsion control. The midfoot maintains the unbending support of previous versions. Rearfoot GEL® remains directly under the heel of the shoe (none visible) with a FLYTEFOAM® piece on the lateral heel providing a firm base. This is the first GT shoe from ASICS to sport (a piece of) their premium midsole material, and I find that it propels a heel strike forward better than the SpEVA®/GEL® combo in the heel of previous versions. 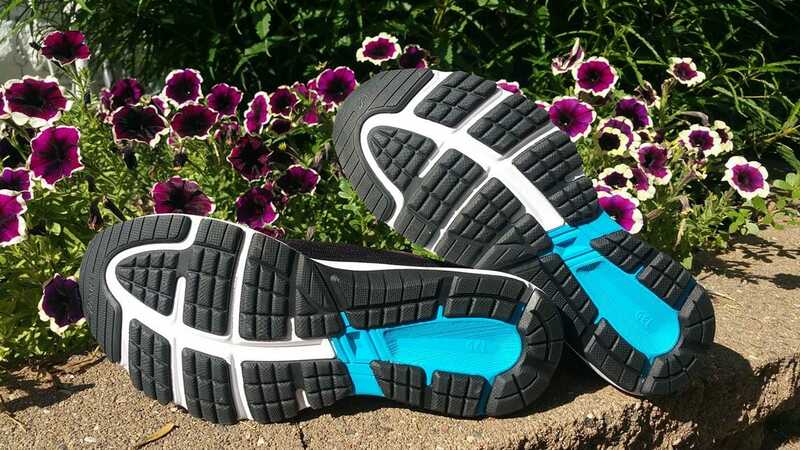 The durable cushion of SpEVA® makes up the rest of the midsole. ASICS high abrasion rubber AHAR® covers the ground contact surfaces of the sole with the familiar Guidance Line® running through, with a sectioned forefoot providing traction and flexibility. ASICS updated the 1000’s upper, now supporting the foot with a seamless engineered mesh that is thinner in the mid and forefoot areas and presents a fast, modern look. The shoe maintains a solid heel counter to limit ankle motion, and reflective patches on the back enhance visibility in low light. The EVA sockliner is thinner than in the 6 but still comfortable. 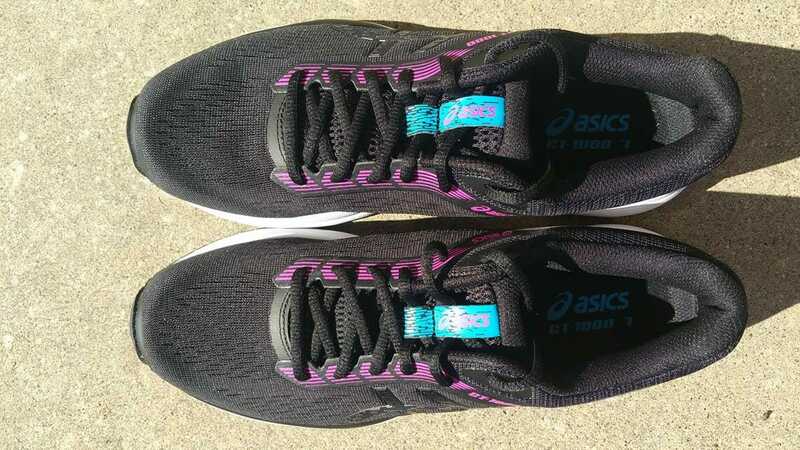 This 7th shoe in the 1000 line from ASICS continues to be a quality shoe at a discount price, but next to the previous version, I’m disappointed by the decrease in arch support and comfort, especially since the shoe is the same weight. That said, it’s still a quality shoe that brings durable support. You’ll like it if the low arch suits your fancy and the increased toe room makes you smile. Now more streamlined, this shoe has a more neutral feel but still boasts the supportive midfoot, countered heel, and med-wide forefoot that devotees expect. I’d say that the more firm cushion of the FLYTEFOAM® landing pad is the best update to the shoe. What do you think of the massive overhaul to GT-1000? Is it thumbs up or thumbs down for you, or, like me, a bit of both? We purchased a pair of Asics GT 1000 7 from runningwarehouse using our own money. This did not influence the outcome of this review, written after running more than 50 miles in them. The GT-1000 gets its responsiveness and bounce from Asics’ FlyteFoam midsole, which also reduces impact on runs. A second, firmer foam called Duomax provides stability—the wedge inserted in the midsole controls your foot from rolling inward. I purchased these and so far, so good! I’d like to add another pair of shoes into my rotation. What are some other comparables to these I can look at? I’m an overpronator looking to increase mileage. Had luck in the past with Brooks Defyance, however Brooks Adrenaline 17s we’re too stable. Wonderful, Erin! I also appreciate the “light stability” category. Two comparable shoes are the Brooks Ravenna and Nike Odyssey React. Both are just slightly more narrow in the midfoot than GT 1000, so if this is an issue, ASICS GT-2000 is the next that comes to mind. All of these reviews are on the site. Let us know if you find another shoe to love!